Malone Medical Chambers Limited is a partnership of three Consultant Orthopaedic Surgeons – Mr Christopher Paul Nolan, Mr Eddie Cooke and Mr Neill Thompson, all of whom offer both private healthcare and medico-legal services. All three partners have previously held substantive NHS posts as Consultant Orthopaedic Surgeons and they continue to participate in the CPD and appraisal process. Malone Medical Chambers Limited is an independent clinic which offers both private and medico-legal appointments. 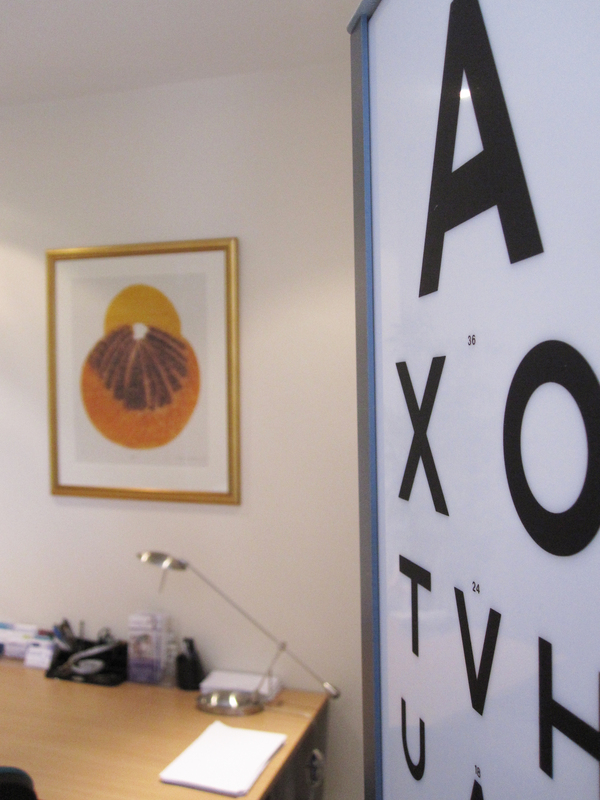 Consulting rooms are available to rent and are suitable for private practice, medicolegal clients and occupational health and insurance examinations. Patient satisfaction surveys are carried out periodically in order to provide the opportunity for patient feedback regarding their care and treatment in Malone Medical Chambers. There is a Complaints Procedure in place and we endeavour to respond to any complaints in a timely and effective manner. Malone Medical Chambers Limited is registered with the Information Commissioner’s Office. Patient confidentiality is at the forefront of our service. The clinic supports the eight principles of the Data Protection Act 1998 and staff are aware of how to deal with requests for patient information. Patient information is managed appropriately and patient details are stored in a secure manner and are disposed of securely. Screens are available in consulting rooms to ensure the dignity of patients. A chaperone is available at the request of a patient or a treating clinician. Patient consultation regarding the operation of the clinic is facilitated by the completion of an annual audit of patient waiting times. 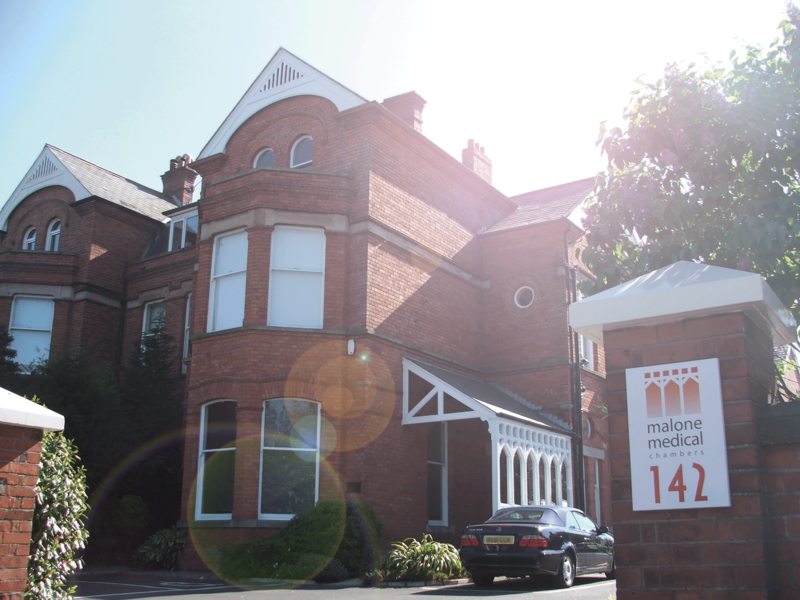 Malone Medical Chambers Limited is located on the Malone Road and is easily accessible from the M1 motorway and from all major routes throughout Belfast. Malone Medical Chambers Limited views complaints as an opportunity to learn and improve, as well as a chance to put things right for the person that has made the complaint. A complaint is any expression of dissatisfaction, whether justified or not, about any aspect of Malone Medical Chambers Limited. Complaints may come from patients, solicitors, medical practitioners or any person or organisation who has a legitimate interest in Malone Medical Chambers Limited. A complaint can be received verbally, by phone, by email or in writing. Overall responsibility for this policy and its implementation lies with the Practice Manager. Patients may wish to refer any complaints to the General Medical Council or to the Patient and Client Council (contact details below). 9th Floor, Riverside Tower, 5 Lanyon Place, Belfast, BT1 3BT.